 “Korean nuclear plants renamed,” World Nuclear News, 21 May 2013, www.world-nuclear-news.org. “Korea delays completion of Shin Hanul-1-2 nuclear reactors,” Power Utility, 12 February 2018, https://asian-power.com. "Nuclear Power Reactor Details — Ulchin-1," IAEA Power Reactor Information System (PRIS), www.iaea.org/dbpage; "Ulchin-1 Enters Service Just Before Olympics," Nuclear News, November 1988, p. 73, in Lexis-Nexis, web.lexis-nexis.com. 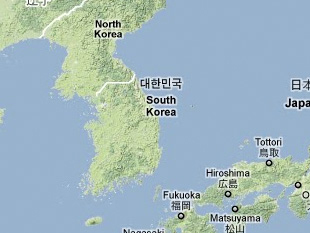 "South Korean Nuclear Plant Breaks Down," Xinhua News Agency, 5 November 1988, in Lexis-Nexis, web.lexis-nexis.com. "Shrimps Close Down Nuclear Plant," Chosun Ilbo, 1 February 1997, in Lexis-Nexis, web.lexis-nexis.com; Gu Dae-seon and O Cheol-woo, "새우때 습격에 첨단원전 뻘뻘/울진 1,2호기 가동중단 [Shrimp Attack, brand-new nuclear power plant suffers/Uljin 1, 2 stopped generating]," Hankyoreh Shinmun, 2 May 2001, p. 15, www.kinds.co.kr; Baek Seung-mok, "울진원전 또 해파리떼 1,2호기 12시간 가동중단 [Jellyfishes appeared Uljin Nuclear Power Plant 1 and 2, stopped generating for 12 hours]," Kyunghyang Shinmun, 27 August 2001, p. 26, www.kinds.co.kr. Lee In-woo, 울진 원전 1호기 냉각수 누출 / 한전 국감자료 [Uljin Nuclear Power Plant 1's Cooling Water Leaked/Audit Document from Korea Electric Power]," Hankyoreh Sinmun, 22 October 1998, p. 26, www.kinds.or.kr; Jeong Jae-woong, 울진원전 1호기 '안전비상'/방사능 냉각수 계속 누출 [Uljin Nuclear Power Plant 1 'Security Emergency', Radiation Cooling Water Is Still Leaking]," Kukmin Ilbo, 11 November 1998, p. 15, www.kinds.co.kr. Mark Hibbs, "KHNP to Replace Wolsong-1 Tibes, Ulchin-1 and-2 Steam Generators," Nucleonics Week, 6 November 2003, p. 7, in Lexis-Nexis, web.lexis-nexis.com; Mark Hibbs, "Kori-1 Set to File for License Extension, with Korea's Other Units to Follow," Nucleonics Week, 22 December 2005, p. 1, in Lexis-Nexis, web.lexis-nexis.com. "Nuclear Power Reactor Details — Ulchin-2," IAEA Power Reactor Information System (PRIS), www.iaea.org/dbpage. See Hanul-1 entry for further details. "Shrimps Close Down Nuclear Plant," Chosun Ilbo, 1 February 1997, in Lexis-Nexis, web.lexis-nexis.com; Gu Dae-seon and O Cheol-woo, "새우때 습격에 첨단원전 뻘뻘/울진 1, 2호기 가동중단 [Shrimps Attack, brand-new nuclear power plant suffers/Uljin 1, 2 stopped generating]," Hankyoreh Shinmun, 2 May 2001, p. 15, www.kinds.co.kr; Baek Seung-mok, "울진원전 또 해파리떼 1, 2호기 12시간 가동중단 [Jellyfishes appeared Uljin Nuclear Power Plant 1 and 2, Stopped Generating for 12 Hours]," Kyunghyang Shinmun, 27 August 2001, p. 26, www.kinds.co.kr. Mark Hibbs, "KHNP to Replace Wolsong-1 Tibes, Ulchin-1 and -2 Steam Generators," Nucleonics Week, 6 November 2003, p. 7, in Lexis-Nexis, web.lexis-nexis.com; Mark Hibbs, "Kori-1 Set to File for License Extension, with Korea's Other Units to Follow," Nucleonics Week, 22 December 2005, p. 1, in Lexis-Nexis, web.lexis-nexis.com. "Nuclear Power Reactor Details — Ulchin-3," IAEA Power Reactor Information System (PRIS), www.iaea.org/dbpage; "Ulchin-3 Connected to Grid Ahead of Schedule," Nuclear News, February 1998, p. 60, in Lexis-Nexis, web.lexis-nexis.com. An Seung-kyoo, "Evolution of Korea's Nuclear Reactor Designs," The Korea Herald, 19 March 2010, www.koreaherald.com. "Most of Ulchin-3 and -4 to Be Made Domestically," Nuclear News, September 1991, p. 78, in Lexis-Nexis, web.lexis-nexis.com; David Stellfox, "ABB-C-E Wins Korean Contract for Two More System-80 PWRs," Nucleonics Week, 25 July 1991, p. 1, in Lexis-Nexis, web.lexis-nexis.com. Mark Hibbs, "Kori-1 Set to File for License Extension, with Korea's Other Units to Follow," Nucleonics Week, 22 December 2005, p. 1, in Lexis-Nexis, web.lexis-nexis.com. "Nuclear Power Reactor Details — Ulchin-4," IAEA Power Reactor Information System (PRIS), www.iaea.org/dbpage. See Hanul-3 entry for further details. Mark Hibbs, "Reporting of Ulchin-4 Tube Break Prompted Draft Nuclear Data Law," Nucleonics Week, 8 May 2003, p. 1, in Lexis-Nexis, web.lexis-nexis.com. "Nuclear Power Reactor Details — Ulchin-5," IAEA Power Reactor Information System (PRIS), www.iaea.org/dbpage. "Ulchin-5 and -6 Contracts Signed," Nucleonics Week, 19 December 1996, p. 18, in Lexis-Nexis, web.lexis-nexis.com; Mark Hibbs, "Ulchin-5, -6 Schedule Will Absorb Strike-Related Delay, KHNP Says," Nucleonics Week, 22 August 2002, p. 15, in Lexis-Nexis, web.lexis-nexis.com; Mark Hibbs, "Second to Last KSNP Unit 50% Complete at Ulchin Site," Nucleonics Week, 27 September 2001, p. 9, in Lexis-Nexis, web.lexis-nexis.com; "New South Korean Reactor Starts Up," Uranium Information Centre Weekly Digest, 26 March 2004, www.uic.com.au. "Nuclear Power Reactor Details — Ulchin-6," IAEA Power Reactor Information System (PRIS), www.iaea.org/dbpage. See Hanul-5 entry for further details. "Nuclear Power in South Korea," World Nuclear Association, July 2017, www.world-nuclear.org.